This Holiday He-Man figure is limited to two pieces per person. Any orders for more than two pieces (or additional orders) may be canceled. 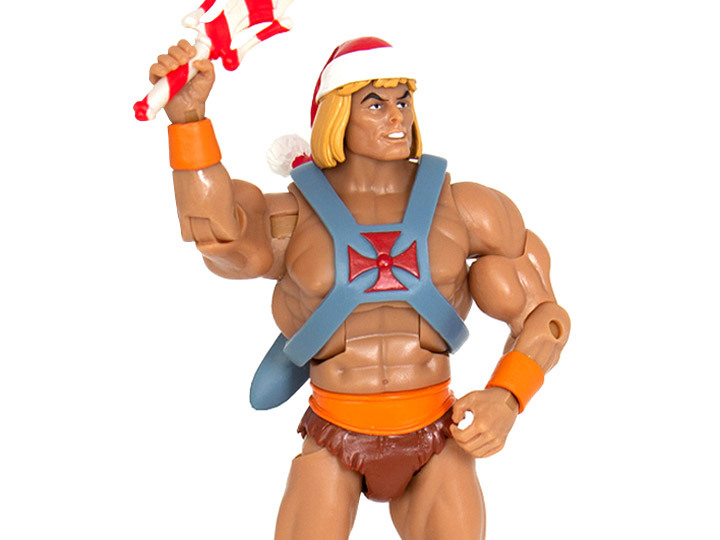 Straight out of an 80's Christmas in Eternia, the Masters of the Universe Holiday He-Man 7 inch Club Grayskull Collection Figure features a new He-Man sculpted with a Santa Hat inspired by the 1985 Masters of the Universe Christmas Episode! 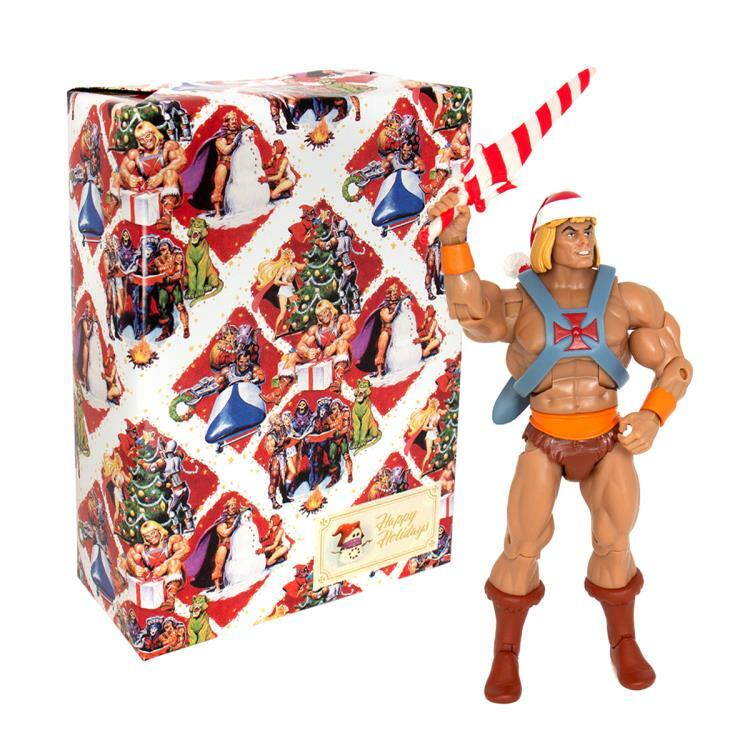 This He-Man collectible comes with new candy cane sword and snow-covered packaging. 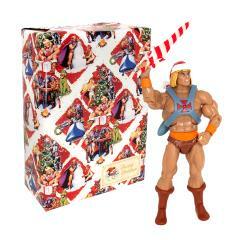 Everything is gift wrapped in 1984-style MOTU Christmas wrapping paper.